Why Should You Crowdsource Software Quality Assurance? Why Should You Crowdsource Software Quality Assurance? Software testing is important, period. A buggy, repetitively crashing application brings frustration to the end user and causes the developers to lose their credibility. On an average, users take 5.8 days to uninstall an application from their smartphone, citing the reasons of space constraint, design complexity, usability issues, or a nasty bug rendering the application inoperable. The iterative, fast-paced Agile enterprises and introduction of DevOps have definitely reduced a software’s time-to-market by churning out releases at a breakneck speed. However, such an express delivery raises questions on the quality of end product. There is an ongoing debate on the role of software quality assurance in the modern digital enterprises. While that is being tackled to some extent through test automation, the need for human intellect is not entirely removed. In fact, it is becoming more and more critical to supervise the machine’s pursuit to test or assure the quality of an application as it is incapable of doing so itself. Now, when we talk about employing manual supervision, there is one issue that needs to be addressed – resource crunch. Crowdsourced software quality assurance can be an effective remedy in this situation. Taking a “for the people, by the people” approach, crowdsourced testing presents the scope of conclusive feedback from the end users itself. 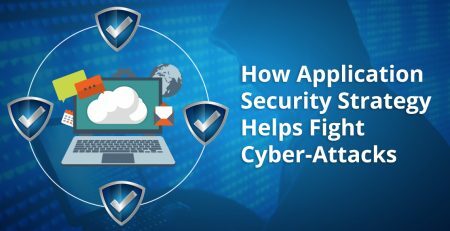 There is some extent of trepidation among the organizations regarding this testing methodology, primarily because it exposes their vulnerabilities to the outside world. With crowdsourcing of the software testing, there are more gains than losses – only if managed at par. In 2018 alone, Microsoft made a pay-out of $2Mn to white-hat hackers for detecting bugs in their software under their Bug Bounty program. As data breaches are on a record high, there is a parallel increase in the number of bug bounty programs as well. Implemented by several companies across industry, these programs are put in place to reward independent testers for discovering unspotted vulnerabilities that may prove hazardous in the long run. In crowdsourced testing, an application is given to a large group of people from different locations, time zones, languages, and cultures to test. It is usually employed for identifying bugs and usability issues. The obvious question that emerges here is how crowdsourcing is different than outsourcing. Outsourced testing usually involves delegation of quality assurance activities to highly-skilled professionals who will offer their services in exchange for a fixed fee. Crowdsourcing, on the other hand, can be free. In a crowdsourced testing scenario, payment is made only if a bug is found. 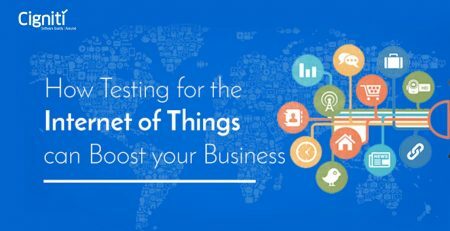 All in all, organizations can get their applications tested under different test scenarios and environment, obtaining a highly efficient application, while probably not having to pay for it at all. The solicitude regarding crowdsourced software quality assurance comes from a lot of factors. In addition to the security concerns, organizations need to deal with a few challenges to leverage crowdsourced testing in its entirety. Confidentiality and Reliability: The involvement of external elements in the testing process bare the internal vulnerabilities to outsiders. This generates concerns about the preservation of confidential data and creates questions on the reliability of crowd testers. Sluggish Communication: While DevOps has brought the whole software development team under one roof to channel effective and prompt communication, crowdsourcing software testing is doing the complete opposite. The lack of a quick response due to remote location can hinder the productivity of a development cycle and result in uninvited delays. Management Oversight: The remoteness of testers elicits difficulty in ensuring proper test data coverage. Additionally, there is a possibility of oversight from the management’s end due to various locations, cultures, time zones, and languages of crowd testers. Leak Risks: Handing over a meticulously developed application to a group of strangers feel like a huge gamble. There is a major risk that a new innovation or a smart feature may get leaked to the competitors, causing serious injuries to the organization’s development abilities. The enablement of cloud-based services has equipped software development companies to deliver a non-errant application that draws excellent customer satisfaction with its impeccable usability and performance. The benefits of crowdsourcing testing activities are many, and effectively overpower its disadvantages. Eradicates geographical barriers: Within an organization, it is practically non-feasible to test an application under all the possible environments and situations. Service virtualization and data masking have their own limitations and cannot guarantee completely factual test results. Powered with cloud, organizations can test their application under a variety of test scenarios with the help of remote, crowdsourced testers. Offers bias-free perspective: In crowdsourced software testing, testers are free from any internal, departmental biases and thus, can offer a neutral viewpoint. As they are not involved in the development process, they are unaffected by the pressure of delivering on the required criteria. This allows them to take a fresh approach with a keen eye to spot the glitches. Fast and inexpensive: The sheer size of crowdsources testers simultaneously engaged in the testing process results in a speedy completion, which helps keep the budget in check and yet provide valuable results. Provides a breather: As development and operational professionals are busy churning out new releases in quick sprint cycles, crowd testing gives them a room to breathe and a scope to be creative. Everything considered, crowd testing can be a constructive way of fail-proofing an application. However, without proper supervision, management, and governance, it may prove fatal for an organization’s reputation. Crowdsourced software QA is mainly used to approach problems such as image labelling and text translations. Taking the application out of the organization under real-world conditions yields a better customer-centric view on its performance and usability. For implementing a beneficial crowdsourced testing strategy, it is essential to first identify the key problem areas, understand the target audience, provide specific directions on the requirements with optimized test cases, and clearly communicate the purpose. There should be a designated project coordinator to orchestrate the whole process. Cigniti partners with industry leaders providing Crowdsourcing solutions & services to help its clients leverage the benefits of real testers on real devices under real test scenarios for real environment. 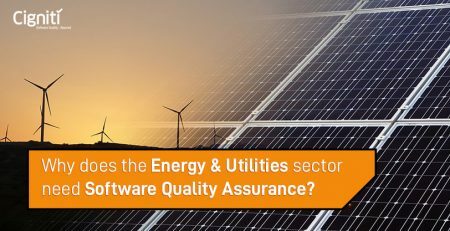 Why does the Energy & Utilities sector Need Software Quality Assurance?